Breakfast is served in the dining room between 7:30 and 9:30am each morning. This light room offers views to the sea and comfortably sits large or small gatherings. Enjoy your breakfast in a warm and friendly atmosphere. Breakfasts to suit all tastes with a wide choice to choose from. Help yourself to the buffet of cereal, dried fruit and fresh juices while you await your cooked breakfast. Tea or coffee will be served to you with fresh cooked toast or croissants to compliment the preserves. An infant high chair is available and assistance with preparing their breakfast will be given. 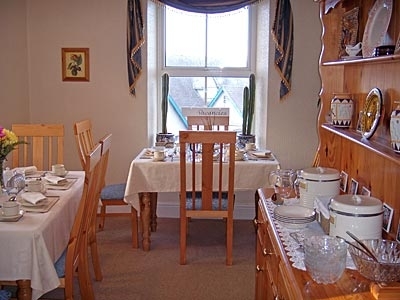 A photo taken in Carno House Bed and Breakfast that overlooks Aberaeron town in Ceredigion, mid-Wales. 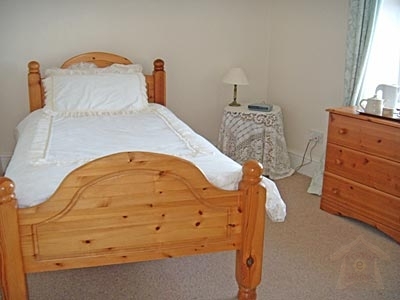 Carno House is light and spacious with full central heating. The comfortable bedrooms have colour TVs, complimentary hot drinks tray and the en-suite and twin rooms have hairdryers and the bathroom and en-suites have shaver points. 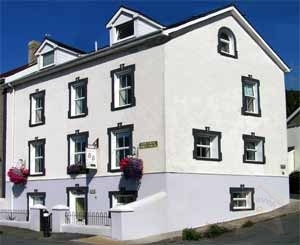 Rooms are named individually to compliment their individual aspect, overlooking the town - 'Town View', the town and sea - 'Sea View', the sea - 'Aeron View' and the rear room over looks the walled garden - 'Garden View'. All rooms have fresh bright linen with soft fluffy white towels. A selection of toiletries is available within the en-suites and bathroom. 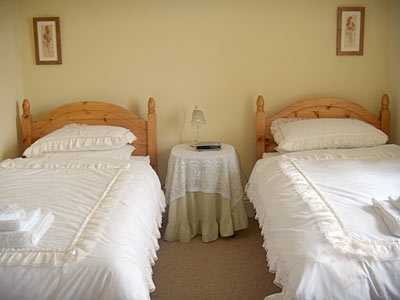 Each day your room will be tidied and fresh linen and towels provided upon request. And just to add a touch of ambience, fresh flowers and chocolates await your arrival. An infant cot is available upon request.